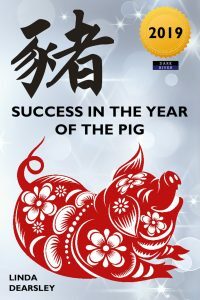 Year of the Pig 2019 – A Joyous Feast of Fun? Welcome to the Chinese New Year of the Pig which begins – if you’re the organised type who likes to plan ahead, or began, in case you’re the laid-back sort who doesn’t believe in rushing these things – on the 5th of February 2019 and which runs right through until January 24th 2020. Now it’s true that, here in the West, the Year of the Pig may not sound an appealing prospect – but according to Chinese lore, our unthinking prejudices are completely wrong. In fact, Pig years are particularly welcome in the East as they’re believed to usher in a time of plenty. So what will 2019 bring to you? Will the cheerful Pig present you with a trough full of golden goodies? Or could you end up wallowing in a grubby sty? Despite the sometimes unflattering connotations of the term ‘pig’ in the West (‘It’s been a pig of a day’, anyone? ‘I’ve just scrapped that pig of a car’, and so on) the Chinese regard ‘Pig’ years as particularly auspicious. Of course, there’s always something exciting about the start of a brand new year – any new year. There’s that optimistic feeling in the air that a fresh new page has been turned, and that we can put the past behind us and begin again, forging a brighter new future. That hopeful mood strikes most of us every new year. But at the dawn of the Year of the Pig, there’s even more reason than usual to feel good about the coming 12 months. The Year of the Pig is special partly because it’s regarded as a year of abundance and partly because of its unique place in the Chinese celestial calendar. The great thing about Pig years is that the Pig is the twelfth sign of the zodiac. The Pig always arrives at the very end of the long, twelve-year cycle which began over a decade before, with the energetic sign of the Rat. By the time the Year of the Pig comes round we’ve had enough. We’ve put in years and years of hard work, years of effort and struggle, now we can sense it’s time to ease up, sit back, and hopefully enjoy the fruits of our labours. There’s an end of term feeling in the air. That last day of school euphoria, or maybe a dash of New Year’s Eve craziness. Okay, so in 2020 we know the cycle begins all over again when Rat rushes back to kick-start a new era, but we don’t want to think about that now. We don’t need to think about that for another twelve whole months! For now, we just want to kick off our shoes and party. At last, we can enjoy a well-deserved break and have some fun. All around, there’s a lightening of mood. After the serious, conscientious Year of the Dog in 2018, there’s a more relaxed feel in the air. People seem to recover their sense of humour; they make more time to be friendly. Pigs are sensitive creatures; they dislike dramatic events, big changes and general unpleasantness so, politically perhaps, we can expect a calmer year with diplomacy taking precedence over discord. There’s an emphasis on the pleasures of life: entertainment, luxury items of all varieties, feel-good treats, and tasty food will be in the spotlight. But due to Brown Pig’s earth influence, these will be expressed in a homely, security-conscious way. Do you want to know what the Year of the Pig might bring you? 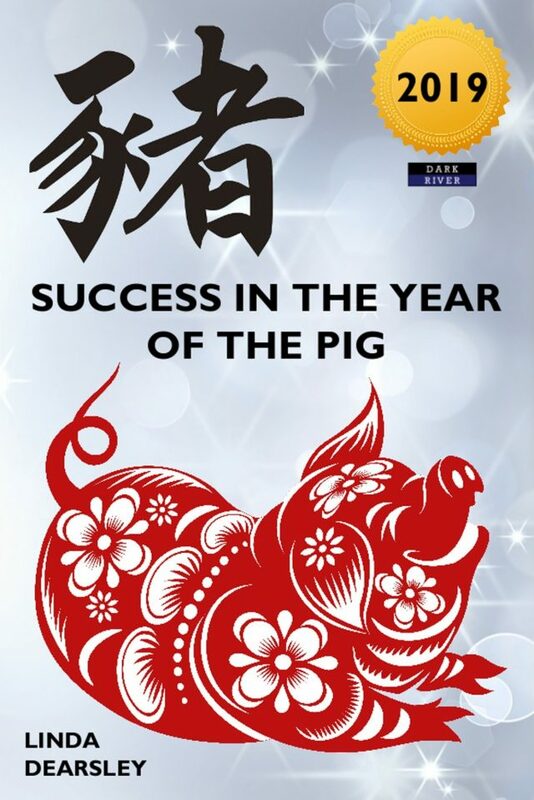 ‘Success in the Year of the Pig’ covers each zodiac sign in detail. Just find your sign, read the book, and maximise your chances of success in 2019!